If you are a heavy green tea drinker (like me!) you should really know a little bit more about green tea. What is the best green tea you can buy? Where does green tea come from? What type of green tea are you drinking? How has it been processed? These are just some of the things to consider if you are a green tea lover. It’s certainly worth paying attention to where your green tea comes from as this considerably affects its quality. Also if you only drink green tea occasionally, do you really want to drink green tea which may be contaminated with heavy metals? If you are one of those people who just buy any green tea that can find and think they are going to be healthier, this is the post which will open your eyes. One of the most important aspects to consider if you want to buy the best green tea is its origin and where it’s been grown. Although green tea originates from China and China is still the biggest producer of green tea, this doesn’t mean that Chinese green tea is the best. China is one of the most polluted countries in the world and many tea plantations grow close to motorways, factories and industrialised towns. Green tea plants easily absorb toxins from their environment and one of the most common ones is lead. Lead is absorbed from the soil via the roots, or lands on the leaves from the local environment (learn more about lead contamination here). For this reason, it’s best to avoid green tea from China and rather choose green tea from Japan as Japan is less polluted and produces cleaner green teas. However, that is not to say that all Chinese green teas are bad, not at all. There are some tea producing regions in China which are not that polluted (or not polluted at all) and much cleaner – this is something for you to investigate if you want to buy Chinese green tea. But to be on a safe side, buy Japanese green tea, which contains less harmful toxins (or no toxins at all). Pesticides are commonly used to grow green tea and if you are looking to buy the best quality green tea, make sure it’s organic. Like this, you at least have one thing less to worry about. You don’t want to drink green tea with the addition of pesticides, do you? But make sure that the organic green tea you buy is certified organic as otherwise, you may not be getting genuine organic green tea. When buying organic green tea also pay attention to its origins – if it comes from a polluted region in China, it can still be contaminated with various toxins. A good quality organic green tea may be difficult to find in supermarkets and local shops so the best is to buy it online. One of the places you can buy it from is The Tea Makers of London. I had a pleasure of sampling some of their green teas and what I really like about their online shop is that they explain everything about each tea, how it’s made and where it comes from. Not many people are aware that there are several different types of green tea and each type has its own unique properties and taste. These teas are also not exactly the same when it comes to the amount of antioxidants they contain – this depends on how mature the leaves were at the harvest and how they were processed afterwards. More mature tea leaves generally have more antioxidants (catechins) than budding leaves. 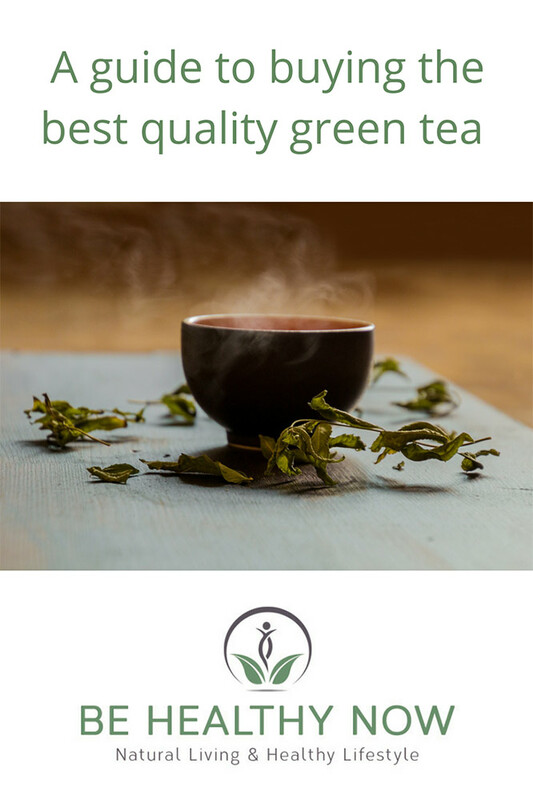 If you like drinking green tea because of the antioxidants it contains (so you can get all the health benefits), then be sure to select green tea with the highest concentration of them – Sencha green tea is the one to go for in this case. It’s only recently that I’ve tried Sencha green tea and I must say it’s quite different from other types of green tea. Just to be precise, I’ve tried Premium Japanese Sencha from The Tea Makers of London. The taste is different, not too strong but quite grassy. It’s actually like a mild version of matcha, which is a powdered green tea. I can definitely get used to it! I didn’t know that but Sencha is the most popular green tea in Japan which is quite interesting as somehow I never tried it before. Anyway, the bottom line is: Go for sencha green tea if you want to consume more antioxidants (normally this type of tea is loose and doesn’t come in tea bags which are better avoided). Did you know? 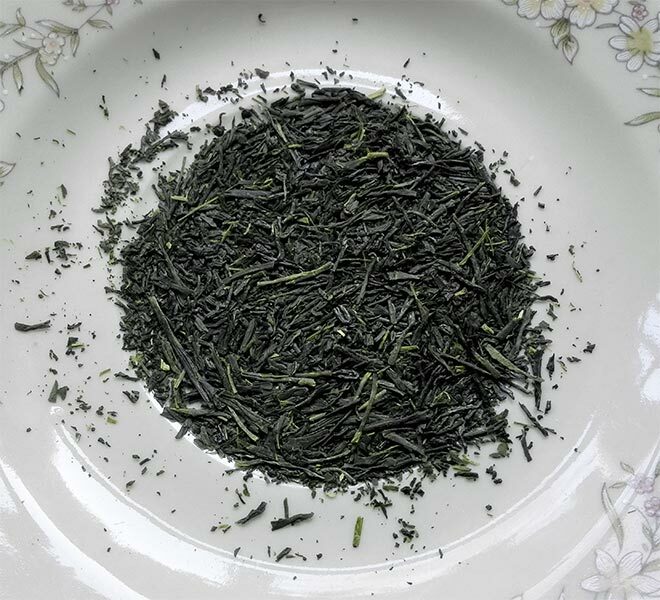 Sencha is the most popular green tea in Japan and the one with the highest amount of antioxidants. Want to buy the best green tea? Then forget about green tea bags! That’s just because in general, loose green tea leaves have more antioxidants than green tea bags. I understand that you may want to buy the best green tea bags, but if your health is important to you, my advice is: go for loose green tea as it’s much better for you. Just get yourself a tea infuser like this one and you will be good to go. Or, get yourself a lovely teapot with integrated infuser if you want to make tea for more people. Also, another reason why you would want to go for loose green tea is because the tea bags may release additional chemicals into your tea which may not be all that good for you. Some tea bags are even made of plastic and some plastic chemicals can actually leach out of the bag into your tea. Avoid, if you can! I hope you now have a better idea of what type of green tea you should buy when you want to buy the best. I don’t recommend any specific brands as there are quite a few out there that you could try. Do you drink green tea and what types have you tried so far? Have you tried sencha green tea? What is the best green tea that you ever had? * This is a collaborative post. This post contains affiliate links which means I may get a small commission if you purchase a product after clicking on a link. I’m a tea drinker and these are good-to-knows. I like that you mentioned the importance of its origin and it’s healthier not having it in a tea bag. Thanks so much for the tips! Ahhh this is perfect thank you for this, this is perfect for me! I must admit, I’m a little bit of a tea rookie I can’t lie, but my best friend ADORES all different teas and tea leaves and everything, and I’m trying to find her a good birthday present, hence I’ve found myself here! I really want to get her a tea related present as I know she’d LOVE it. I’m just wondering really what the best teas to get would be? I know she likes oriental teas as she was talking about them the other day, so does anyone have any suggestions at all? I need all the recommendations so please hit me up with some haha! I know she likes the flavoured ones like berries and lemon and things like that so anything along those lines would be great if anyone knows any interesting and exciting flavours! I want to get some really fun ones for her to try! 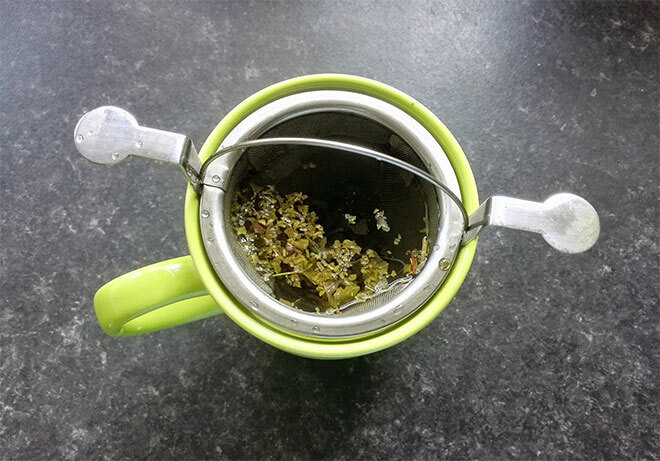 Also in terms of green tea (definitely getting her some of that – she’s obsessed haha) am I better getting her a tea bag version or leaves like these (https://capacitea.co.uk/collections/green-tea). Is there a difference in taste? Is it down to simply personal preference? Or is one more special than the other? Again please hit me up with any advice or recommendations you may have as I’m far from an expert on this type of thing! Also are there any special biscuits that go with green teas etc? I would quite like to get her a full little tea set little thing, so biscuits would be quite a nice touch 🙂 Anyway sorry for rambling haha – like I said – would love to hear people’s recommendations and advice! Thank youuuuu everyoneeee! I feel like I am like your best friend! I am exactly the same, I love all kind of different teas and always love trying different types. I know I would definitely love it if somebody bought me some good quality teas as a present, even better if the present comes with some lovely cups and a strainer.. I recommend going for organic tea as it will be healthier. I quite like green tea with lemon flavouring but struggle to find good quality organic version (I try to avoid the ones from China). I know Pukka’s teas are quite good and people love them and they offer a variety of flavours. 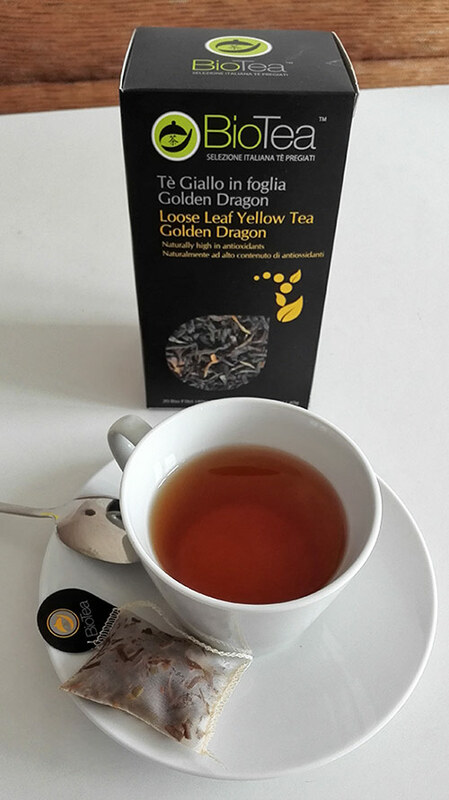 You can check them out on Amazon here: https://amzn.to/2JQBldv Of course, going for loose tea is much much better and Tea Makers of London offer some really good quality loose teas, but if you are buying green tea I would avoid gunpowder as it has a quite strong flavour. 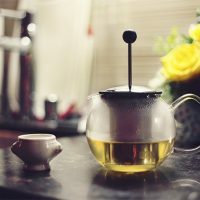 There are different types of green tea and the flavours are quite different (some of them are described in this post). Just remember to go for Japanese green tea as it’s the best. Matcha green tea is quite popular among health enthusiasts but not everybody will like its grassy flavour. Also, you need to make it in a special way so making it will take more time than just brewing a standard tea. And if you are after a tea with the most antioxidants, sencha green tea is the one to go for (the taste is not bad although still a little bit grassy, but mild). It’s up to you really what you buy, but this is my advice. Take a look at Amazon and see what you can find there: https://amzn.to/2JVKjpG (Tea Makers of London also sell their products there). In terms of biscuits, yes, that’s a good idea but it doesn’t really matter which ones you buy – of course try to go for healthier ones (if your friend is a bit of a health freak..). Hope that helps! Thanks for sharing this informative post. I have tried quite a lot of green tea varieties and my search ended with green tea from Halmari; one of the best tea brands that I have tasted so far. Just a single cup of green tea from Halmari just enlightens my entire day. Great for your body as well. Within a month I have started to feel the difference in my body from inside. I am glad you found the post useful Lizzy. I don’t think I’ve tried green tea from Halmari yet but I will definitely check it out! Thanks Petra, time to buy some Japanese green tea.